Thanks to donations from people like you, these best friends were brought together at no charge to Abey’s family. 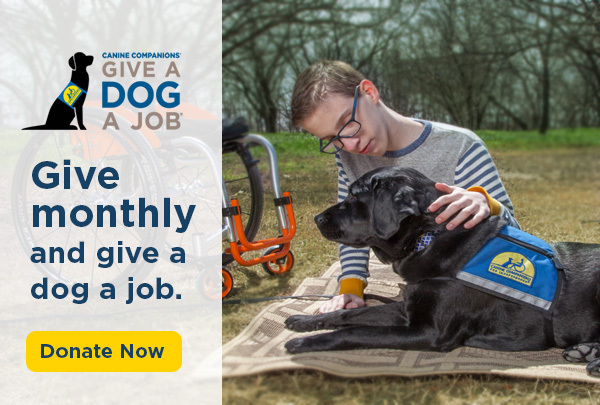 This holiday, Give the Gift of Independence and Give a Dog a Job. Give a gift that will change someone's life! With your honor gift, we’ll send an adorable card (mailed or emailed) to anyone on your gift list, and you can include your own personalized message. 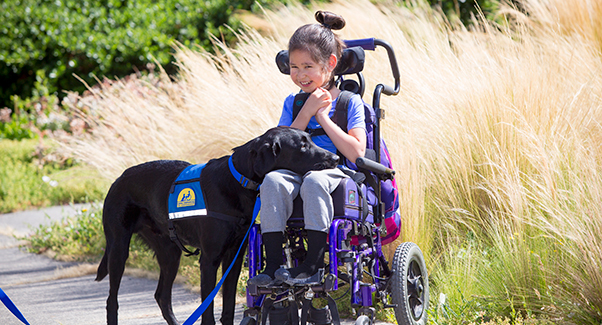 Watch Service Dog Mork show Sesame Street’s Abby and Elmo how he helps Wallis with her day-to-day activities, including helping her into the BraunAbility Chrysler Pacifica. Drive Independence and Give a Dog a Job. Stay charged! Free power bank with any online gift shop purchase of $40 or more until 12/31/17. Use code 7823 for gray or 7824 for black (limit one). Order by December 10 for Christmas delivery. Order your 2018 Puppy Calendar by December 10 for delivery by Christmas! Keep your pups safe and happy this holiday season. It all starts with a puppy, and you™.